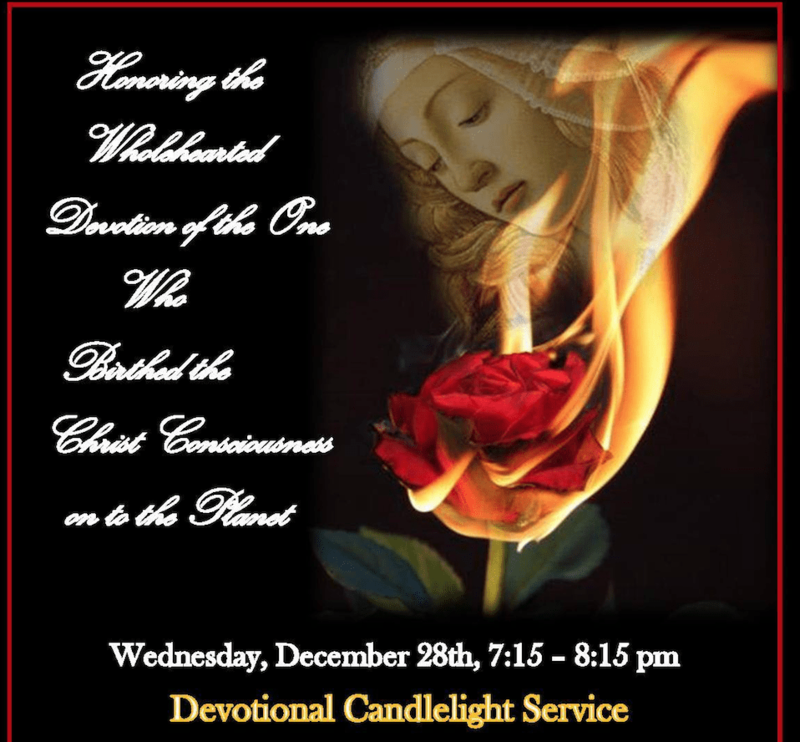 Join me and some wonderful women in honoring Mother Mary in a Candlelight Service. Honoring Mother Mary for her conciousness to bring forth the Christ Consciousness on to this planet…but now it is time to Birth and Awaken the Christ Consciousness in you for those who are ready. Out of this year’s darkness we are called to be born into a new light. Have you felt a resonance with Mother Mary? Her image awakens something in you? You are drawn to her. You may be what A Course of Love calls a forerunner of Mary. You are being called. 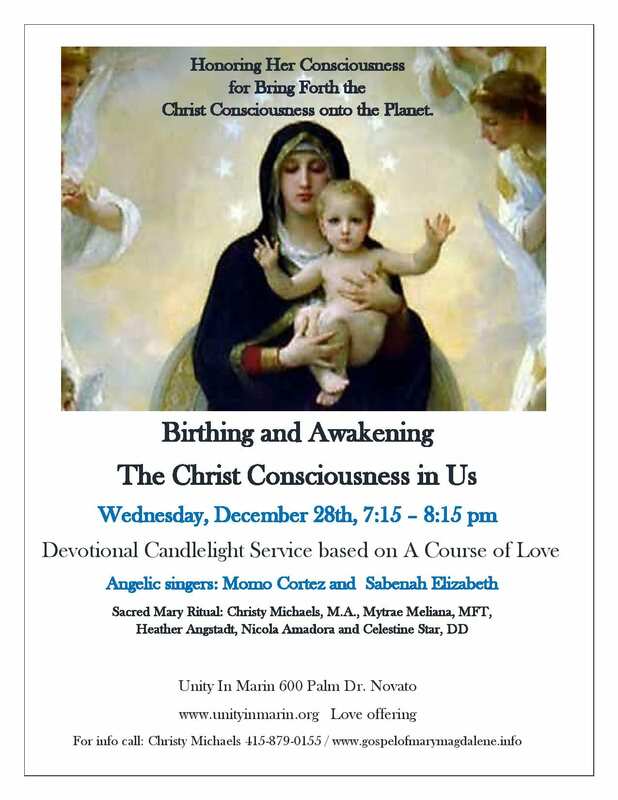 At this sacred candlelight service, we reflect and expand our understanding on how it was the consciousness of Mother Mary, that birthed the light—the Christ Consciousness on this planet! Did she leave clues for us as to how to birth our own light? A Course of Love says “Yes”, The clues are for those who understand that it is time to bring forth the highest consciousness in all of us. Selected readings of the highest vibration will be read. Awaken. Listen. Love. In a beautiful honoring to the consciousness of Mary, wrapped with the sacred music of Momo Cortez, and Sabenah Elizabeth, join with Christy Micheals, Mytrae Meliana, Nicola Amadora, Celestine Star and you uplift our Spirits, in a beautiful illuminated ritual which acknowledges MotherMary for her consciousness to conceive light and birth the Christ Consciousness within us all.